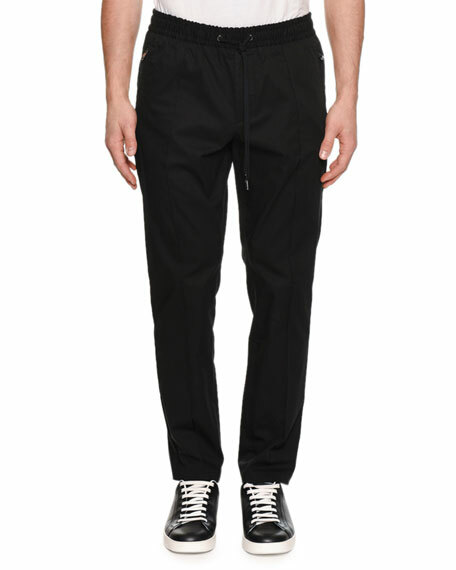 Dolce & Gabbana jogger pants in lightweight knit. Dolce & Gabbana jogger pants in floral and cherub print satin. Elasticized waistband with "True Beauty" Latin text. Side slip pockets; back welt pocket. Relaxed legs taper to ankle. Pull-on style. Polyester. Made in Italy. Dolce & Gabbana silk pajama pants in lace print design. Drawstring front with elasticized waistband. Slip-on style. Classic fit. Silk. Dolce & Gabbana silk pajama pants in lace print design. Drawstring front with elasticized waistband. Slip-on style. Classic fit. Silk. Made in Italy. 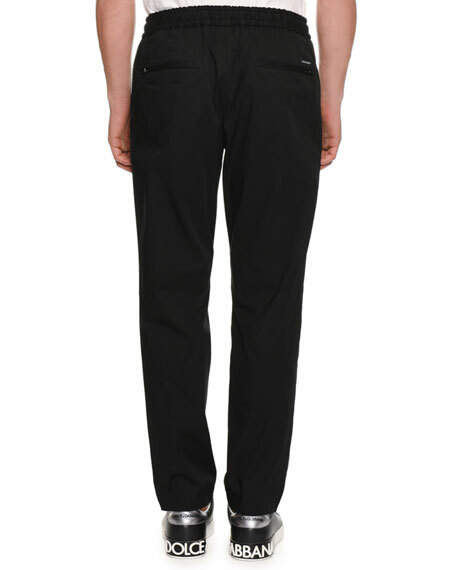 Dolce & Gabbana sweatpants with rubber logo lettering along legs. Drawstring front with elastic waistband. Side zip pockets; back zip pocket. Banded ankle cuffs. Pull-on style. Cotton. Made in Italy.